The Web analytics Template in PowerPoint format includes five slides. 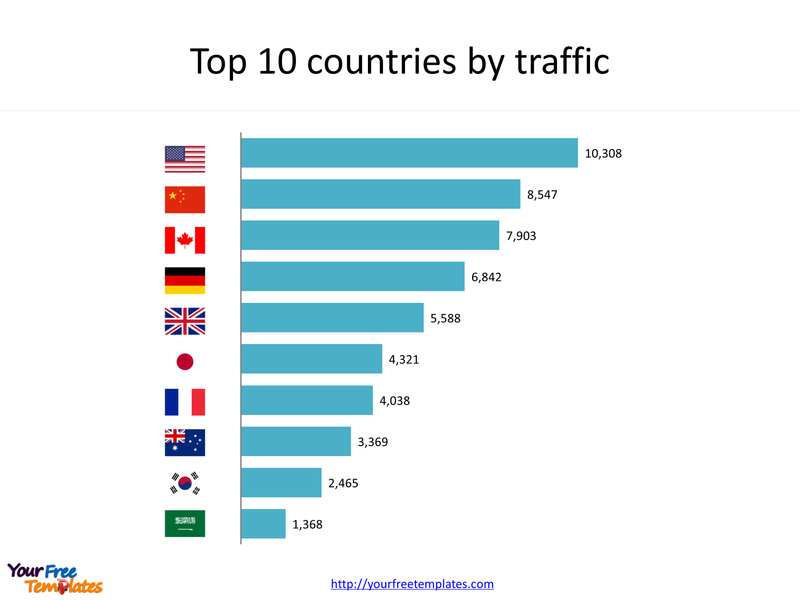 Firstly we have the slide describing Top 10 countries by traffic. 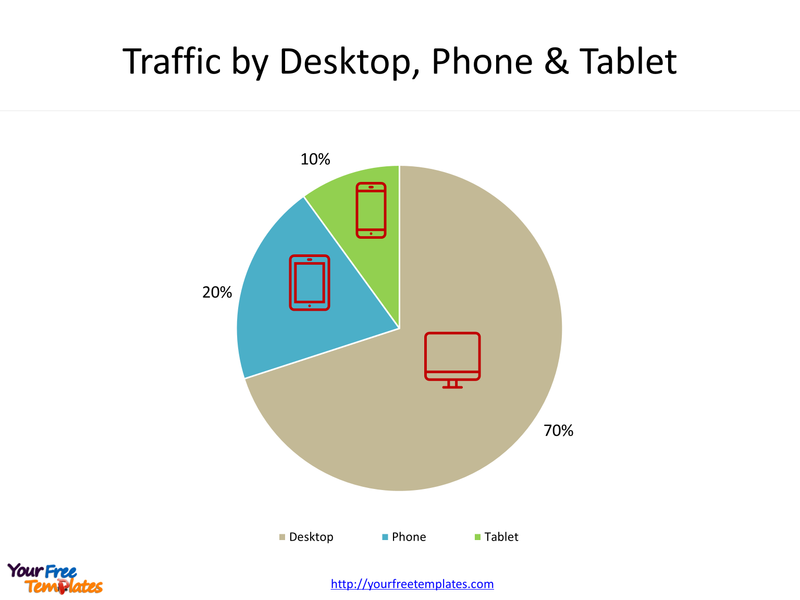 Secondly we check traffic by Desktop, Phone & Tablet. 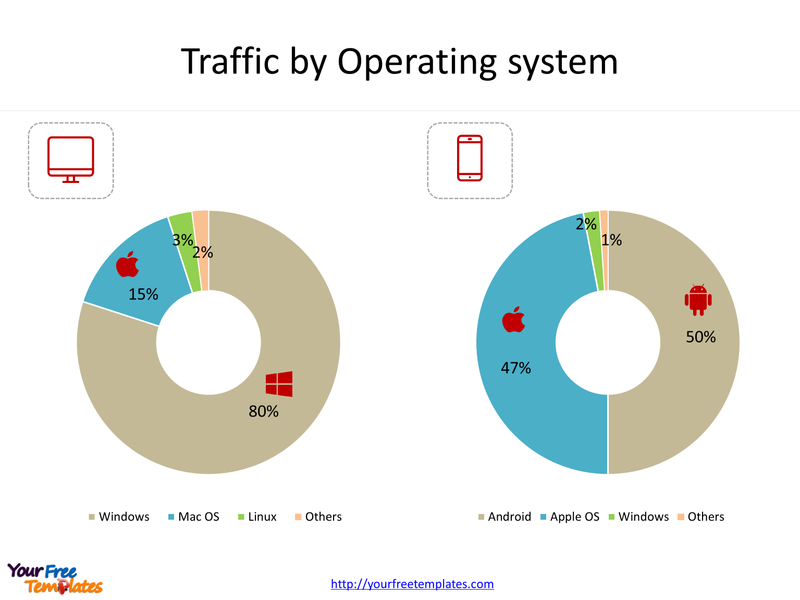 Thirdly it is traffic by Operating system. 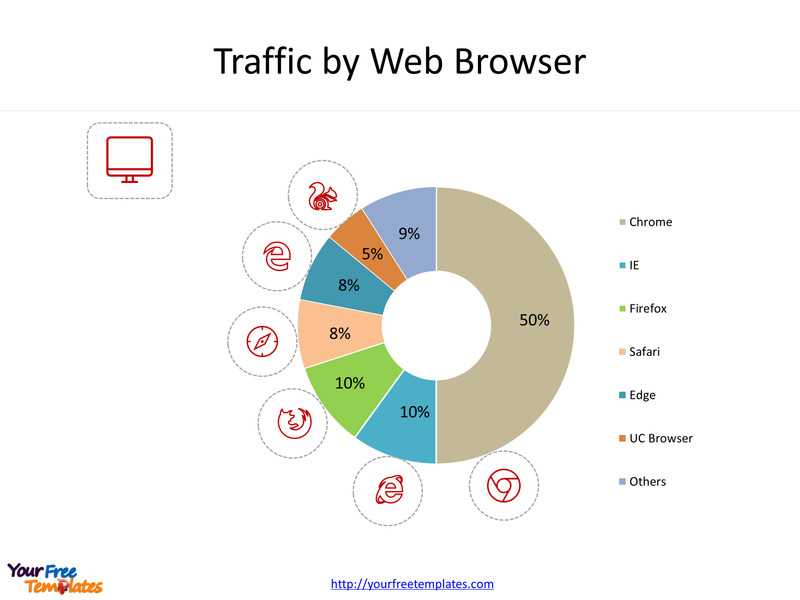 Fourthly we review traffic by Web Browser. 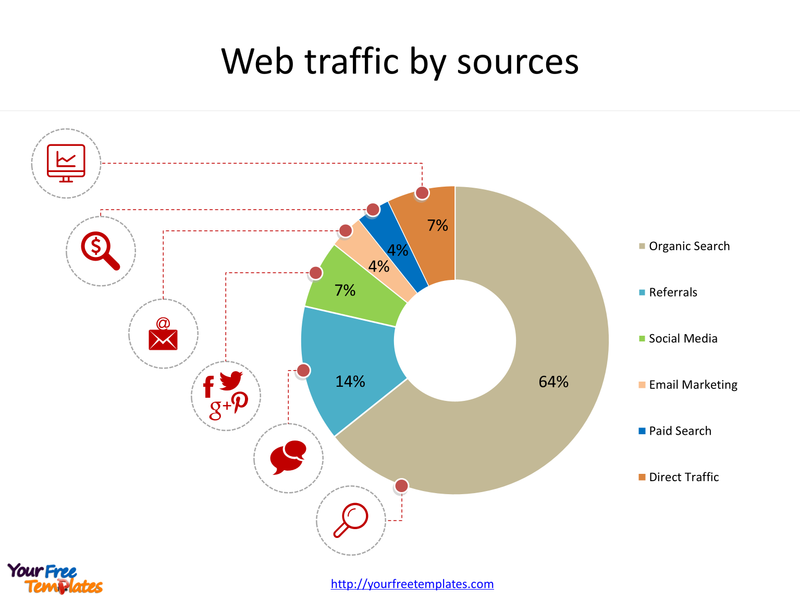 Finally we measure web traffic by sources. As the same series, you can also find our Data Mining, Machine Learning, cloud computing, block chain technology and Artificial Intelligence PowerPoint templates. Web analytics is the measurement, collection, analysis and reporting of web data for purposes of understanding and optimizing web usage. Firstly it is used as a tool for business and market research, and to assess and improve the effectiveness of a website. Secondly it helps one to estimate how changes traffic to a website after the launch of a new advertising campaign. Thirdly it provides information about the number of visitors to a website and the number of page views. You can found them in our PowerPoint templates. The Web analytics PowerPoint templates include five slides. 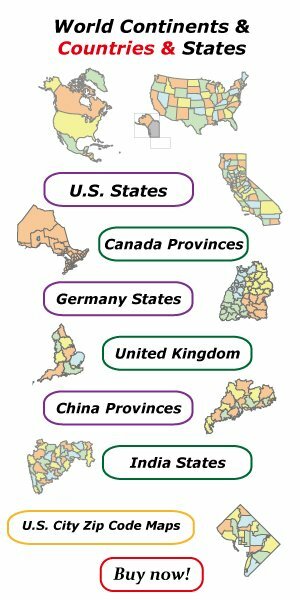 Slide 1, Web analytics PowerPoint templates for Top 10 countries by traffic. With IP geolocation, it is possible to track visitor’s location. Using IP geolocation database or API, we can geolocate visitors at city, region or country level. Here you can use flags to stand for countries. You can find free flag images in this site. Because our world has witnessed an increasing number of people using tablets and mobile devices instead of desktop computers to browse the internet. So web developers often have to create two or three versions of a website to make sure people on screens of all sizes have a good user experience. That is why responsive design gaining popularity in new sites. For one thing, to Desk PC, the top 3 operating system are Windows, Mac OS and Linux. For the other thing, to mobile phone, the top 3 are Android, Apple OS and Windows. It is well noted that the Top 5 are Chrome, IE, Firefox, Edge, and Safari. Ordinary your site can have the sources as followed, Organic Search, Referrals, Social Media, Email Marketing, Paid Search, and Direct Traffic.